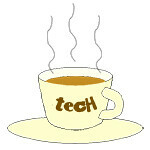 Ericsson « Tech bytes for tea? The Ericsson Mobility Report forecasts that 16 billion connected devices are expected to join the Internet of Things by end 2021. Between 2015 and 2021, the number of IoT connected devices is expected to grow 23 percent annually, of which cellular IoT is forecast to have the highest growth rate. Internet of Things (IoT) is set to overtake mobile phones as the largest category of connected device by 2018. “IoT is now accelerating as device costs fall and innovative applications emerge. From 2020, commercial deployment of 5G networks will provide additional capabilities that are critical for IoT, such as network slicing and the capacity to connect exponentially more devices than is possible today,” said Rima Qureshi, Senior Vice President & Chief Strategy Officer, Ericsson. Of the 28 billion total devices that will be connected by 2021, close to 16 billion will be IoT devices. Western Europe will lead the way in adding IoT connections – the number of IoT devices in this market is projected to grow 400 percent by 2021. This will principally be driven by regulatory requirements, for example for intelligent utility meters, and a growing demand for connected cars including the EU e-call directive to be implemented in 2018. Smartphone subscriptions continue to increase and are forecast to surpass those for basic phones in Q3 this year. The partnership will evaluate and test 5G technologies for future standardisation, as well as joint planning and exploration of 5G technology and architecture. Areas of interest include cloud core, radio technologies and Machine Type Communications. Singtel Group Chief Technology Officer, Tay Soo Meng and Region Head Ericsson South East Asia and Oceania, Sam Saba at today’s MOU signing ceremony for Singtel and Ericsson’s partnership to explore the future of 5G. “5G will enable the full potential of Ericsson’s vision of the Networked Society, where everything that can be connected will be connected,” said Saba of the partnership. Singtel is partnering strategic vendors as part of its 5G exploration programme. “5G is the next generation mobile network technology standard. It will deliver key improvements such as near-zero delay for real-time applications for remotely operated machines, super high data throughput speeds of more than 1Gbps, and enable multiple connected intelligent devices,” said Tay Soo Meng – Singtel’s Group Chief Technology Officer. Singtel today signed a memorandum of understanding with Ericsson to study the future of 5G networks and its applications for both consumers and enterprises. The partnership will include workshops to align 5G requirements, exchange ideas and trails on potential technologies. Earlier in November, Singtel announced plans to launch a 5G Joint Innovation Programme with Huawei. The initiative will serve as a research platform for 5G mobile broadband technologies.